Michael sent us an e-mail asking about our website design services several weeks ago. He indicated that he had several businesses and was looking for price estimates on basic website design services for each. After providing him our itemized listing of different features, he went ahead and had us create a dealership website for him. The website is very simple but he wanted the site to be easy to navigate and understand. The website also has a security certificate (SSL certificate) because he had us create an online application for potential customers to apply for credit directly on his website. The site also has the ability for him to list his vehicle inventory. We hope to help Michael in the future with at least one or more of his other website design needs! 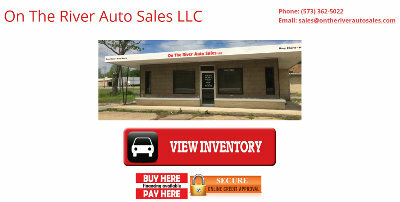 The website for On The River Auto Sales, LLC is at ontheriverautosales.com.